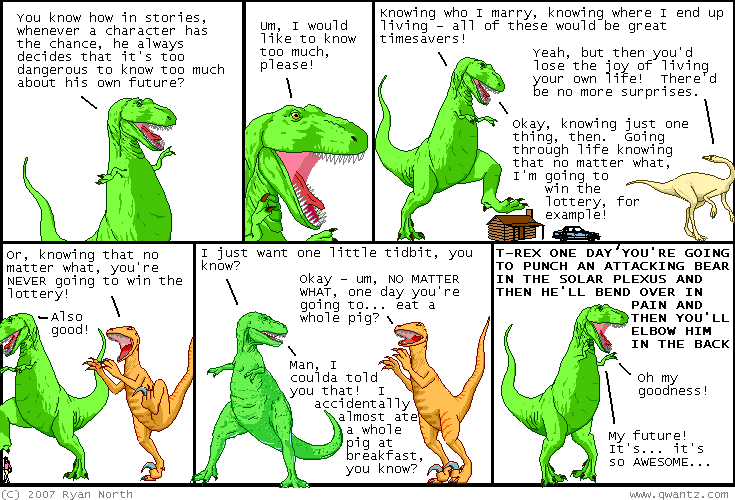 Dinosaur Comics - October 22nd, 2007 - awesome fun times! October 22nd, 2007: Guys. T-Rex might have had three fingers. I - I don't know what to say. One year ago today: vous aimez quelques frites avec cette secousse?